Intelligent Pipeline Solution specializes in flow assurance and process optimization. We provide a unique blend of experience and dynamic simulation familiarity focused on distilling results into clear design and operations recommendations for our clients. Our technical consulting service includes the resolution of multiphase flow dynamics, slugging, erosion, wax, hydrates, emulsion and scale problems in subsea, pipeline and riser systems. Intelligent Pipeline Solution is a leading provider of flow assurance consulting services, including: transient multiphase flow simulation, dynamic topsides and process modeling, detailed thermal and hydraulic analysis, and hydrate/paraffin design and operational strategies. 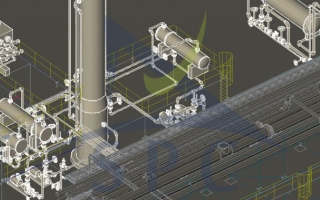 Intelligent Pipeline Solution provides technical support for feasibility studies, conceptual design, preliminary and detailed design, hook-up and commissioning, operating guidelines, process de-bottlenecking, asset expansion and abandonment. Leak simulation and Model-based leak detection. Intelligent Pipeline Solution is a specialized multiphase consultancy experienced in the application of advanced technology for the design and optimal operation of oil and gas production, pipeline and processing facilities. Our consultants are recognized as world-class experts in flow assurance and combine strong analytical capabilities and innovative technology in transient multiphase flow, thermodynamics, dynamic process simulation, production chemistry, and computational fluid dynamics.